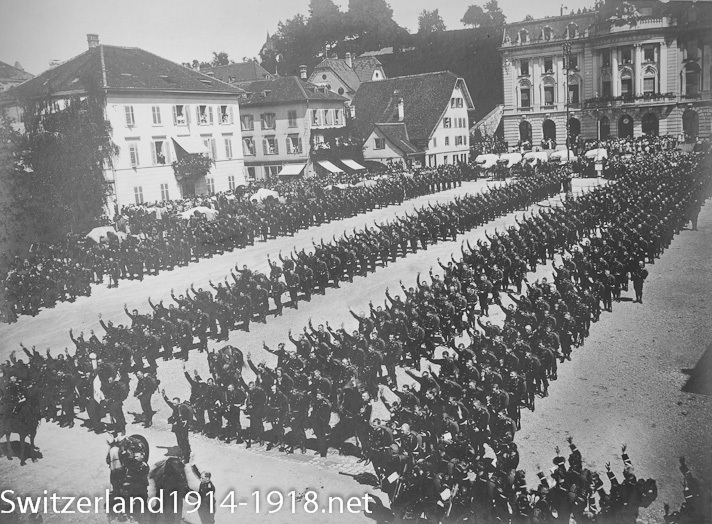 Mobilisation of the Swiss Army began on 2 August 1914, and Swiss neutrality was declared on 3 August. Like many other neutral states, there was the fear of invasion by the belligerents. In Switzerland’s case, either France or Germany might invade Swiss territory to try to outflank their opponent’s line. As men of military age were called up into the armed forces, Switzerland was little different from other European countries in August 1914. Men of the 48th Fusilier Battalion swear an oath before leaving for the frontiers, in the town of Zug on 5 August 1914. 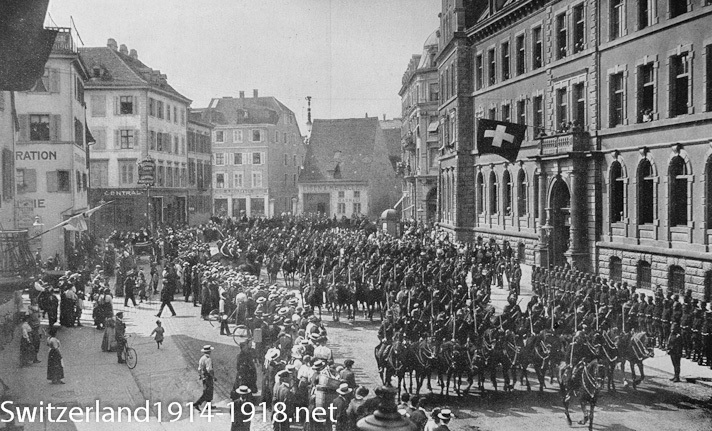 Cavalry mobilised at Basle at the start of the war. 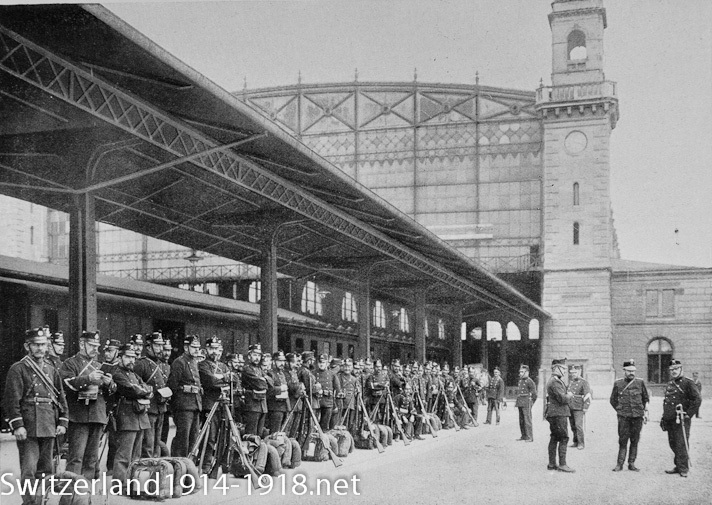 Landsturm troops at Zürich station, perhaps on their way to the frontier. The Landsturm or militia was made up from men aged between 17 and 50, including those too young or old to serve in the Active Army. Click here to go to the next section on Swiss neutrality in wartime.